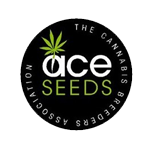 Ace Seeds - Green Haze x Malawi. Free US delivery. Green Haze x Malawi is an old school F1 pure sativa hybrid, with strong Green Haze dominance and improved vigour, yield and potency from our Malawi line. In order to create this spectacular sativa, our best Green Haze mother was pollinated by the killer Malawi. The powerful African genes add a new dimension to the super sativa Haze concept, creating one of our most interesting 'sativa haze' hybrids. Green Haze x Malawi differs from her sister Purple Haze x Malawi because it keeps the green color until the end of flowering and its structure is a bit shorter. It also matures 1-2 weeks earlier than Purple Haze x Malawi. Both, Green Haze x Malawi and Purple Haze x Malawi have similar effect, yield and potency. Standard (regular) limited edition available while stock lasts.